I’ve never considered myself a person with a Traumatic Brain Injury (TBI). Sure I’ve had 9 concussions, but I’ve never had one single blow that changed my life, personality, or demeanor in a lasting fashion. That dramatic change of self is the part of the injury I've always associated with trauma. Instead, I’ve had 9 concussions that have redirected my path in life to become safer and lower impact, but consequently aligning my path with my true self. For this reason, I’ve never thought to reach out or get involved in concussion programs because in my mind I don’t have a TBI. I simply didn't think my injuries were traumatic enough. "I wanted to see others that at face value didn’t appear to have a concussion but underneath could understand the headaches, nausea, and confusion that I was feeling." After a recent sailing injury - classic boom high-wind head collision - my perspective changed. The lonely world of concussion recovery had finally grated down my definition of needing help and wanting to be part of a community with which to share this invisible injury. I wanted to see others that at face value didn’t appear to have a concussion but underneath could understand the headaches, nausea, and confusion that I was feeling. So, I reached out to LoveYourBrain because they seemed to take the potential doom and gloom that can surround head injuries and instead create potential and possibility. "With this new yoga routine, I’m an active participant in my concussion recovery." This morning I attended my very first LoveYourBrain yoga session at Laughing River, in Winooski, Vermont. At a month out from my sailing injury, cleaning my house still requires me to take a nap and rest, but I was ready to expand my “can do” list. When I over spend “brain points”, as I like to call them, on loud or high heart rate activities, it’s closely followed by headaches and some serious hours logged in bed listening to a podcast or looking at the back of my eye mask. A community of people that understood had vetted this yoga session, so I came in with confidence that I could do it and participate at the appropriate level to spend the perfect amount of brain points. Simply put, I’m overjoyed because I left feeling better and understood. With this new yoga routine, I’m an active participant in my concussion recovery. It’s creating an opportunity to heal, create momentum, and be understood. Learn more about the LoveYourBrain Yoga & Meditation Program here. 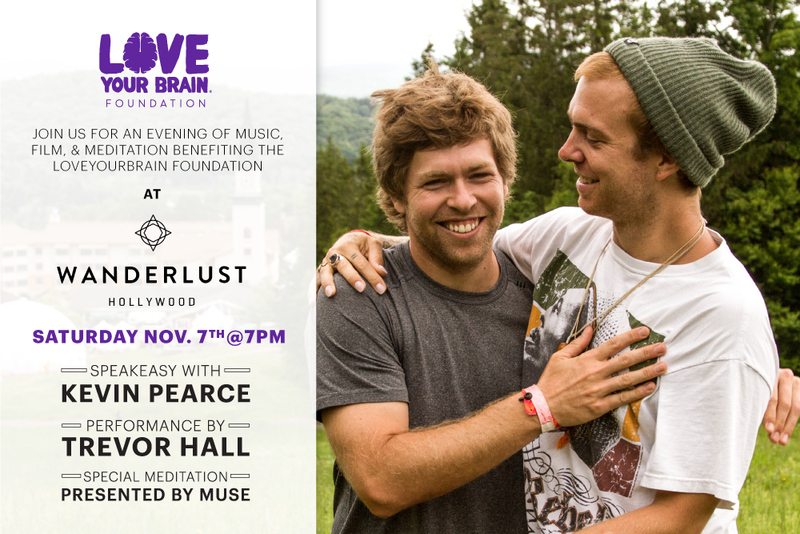 Join us at Wanderlust Hollywood for an inspiring evening with a musical performance by Trevor Hall, special edit of The Crash Reel, speakeasy by Kevin Pearce and meditation by MUSE! 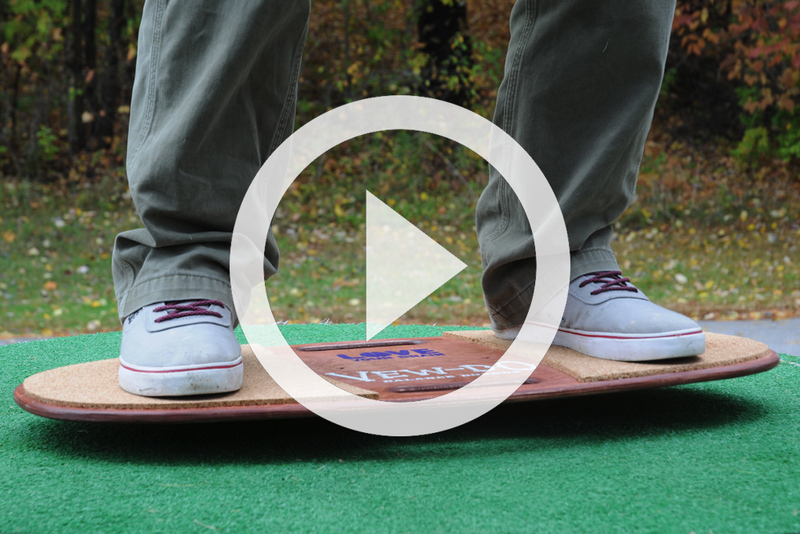 The Vew-Do x LoveYourBrain Balance Rehab System is now available for pre-order, and will start shipping on November 15! Watch the video to learn how it will help your balance! Copyright *2015* *LoveYourBrain Foundation, Inc.*, All rights reserved.